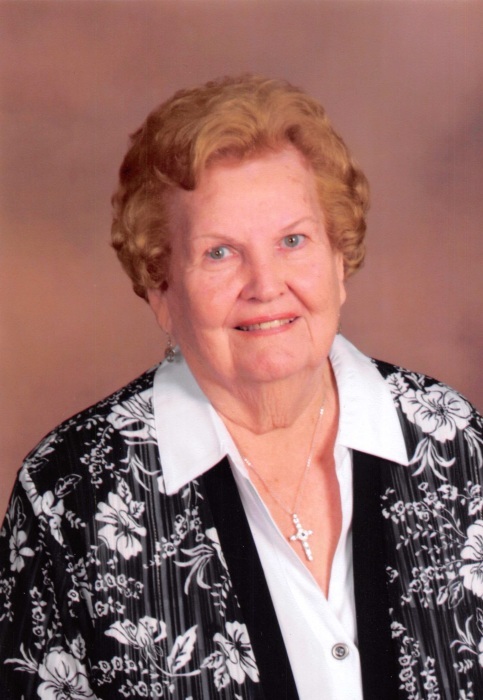 Mildred Mae Schuenemann, 81, of Nordheim passed away November 22, 2018. She was born May 22, 1937 in Karnes County to the late Otto and Augusta Monecke Wunderlich. She was baptized, confirmed and a member of St. Paul Lutheran Church in Nordheim, receiving Mother of Year in 2015 from the Church. She married Erwin Schuenemann November 25, 1956 in Nordheim. She was the president of Hermann’s Lodge #108 of Nordheim. She is survived by her husband Erwin Schuenemann, daughters Jeannie (Richard) Heard, Linda K Yanta (Buddy Smith) and Wanda (Tim) Cornish, son Larry Scott (Trlica) Schuenemann and sister Hilda Roush. She is also survived by 12 grandchildren, 27 great grandchildren and 1 great great grandchild. She is preceded in death by her parents, sister Olga Hughes and brother August Wunderlich. Visitation will be 6-8 pm Saturday Nov. 24, 2018 at Massey Funeral Home, Funeral Service will be 1 pm Sunday Nov. 25, 2018 at St. Paul Lutheran Church in Nordheim. Interment will follow at Nordheim Cemetery. Pallbearers will be Kim Schuenemann, Anthony Yanta, Matthew Yanta, Keith Cornish, Kevin Cornish, and Ryan Schuenemann. The family would like to thank her caregivers, Samona Perez, Gloria Villarreal, Gloria Guerrero and Mary Beth Guerrero.